Looking for the best trolling motor at best the value possible for your small to medium size fishing boat, inflatable boat or fishing kayak? 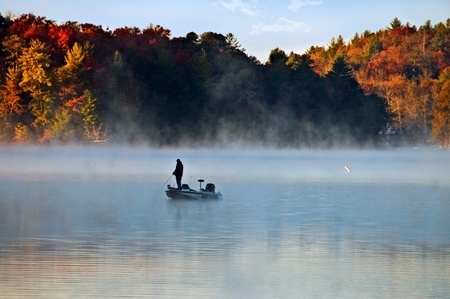 There are plenty of great trolling motors available at reasonable prices, and even affordable options can offer a wide range of benefits for anglers looking for that perfect trolling motor. Trolling motors are ideal for countless situations when out on the water fishing, from slowly navigating those hard to reach spots your main motor cannot reach to keeping disturbance down to a minimum as you fish, making them a very worthwhile investment. We have put together a list below of what we think are the top 5 trolling motors on the market today for budget-minded anglers and boaters. Let’s dig in and see what features and values they have to offer. The Minn Kota Endura line has been producing some of the best-rated electric trolling motors for a long time and the C2 is one of its most popular transom mounted options today. Packing many great features into an affordable product is no easy feat, but it’s something that Minn Kota has been doing for years with the Endura models. With a 12-volt battery that puts out 55 lbs of thrust and either a 36″ or 42″ shaft, the C2 55 offers a powerful yet affordable transom mount trolling motor that can be used in boats of up to 18’, so you can expect some impressive speeds when used with smaller vessels. It’s as quiet as you could hope for, with the larger brushes, windings, and commutators resulting in less heat generation, helping to provide a great battery life of several hours – you can expect to plenty of time on the water before needing to recharge. It makes for a very good bass boat trolling motor. Combined with 5 forward and 3 reverse speed settings, this is a powerful yet versatile motor that offers complete control for navigating those difficult spots. This is made even better by the 6-inch telescoping handle, which is ergonomically designed to provide simple and comfortable steering throughout the day. Prop performance is certainly powerful, made better by Minn Kota’s famous ‘Weedless Wedge 2 Prop’. This robust prop will get you through even the thickest vegetation with ease without draining the battery due to constant chopping and hacking. Another great feature of this motor is the incredibly strong composite shaft. It feels almost indestructible, with the shaft literally flexing upon impact. This ensures no breakages, kinks, or corrosion over time, and Minn Kota are so confident in the shaft that it comes with a lifetime guarantee! Offering the perfect combination of function and affordability, the Newport Vessels (NV Series) 55 lb Thrust 8-Speed Electric Trolling Motor is a fantastic product worth every cent. 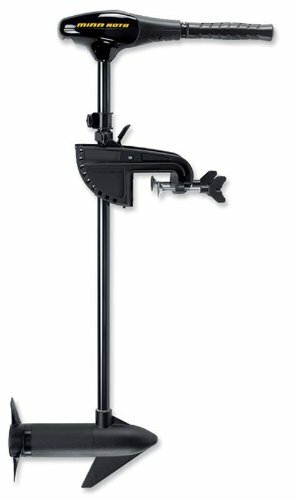 The design and build of this transom mount trolling motor are certainly impressive, boasting a 30-inch fiberglass composite shaft, aluminum casing and telescoping handle, which offers great comfort when steering. Using high-quality, corrosion-resistant materials, this motor is also a great choice for saltwater fishing. Built with versatility as well as durability in mind, the trolling motor is perfect for all Newport Vessels inflatable boats, while also being a great fit for a range of other vessels such as fishing kayaks, Jon boats, fishing boats (including aluminum types), canoes and any inflatable that features a transom. As the name suggests, the motor provides 55 pounds of thrust and sports 8 different speed settings, with 5 forward speeds and 3 reverse speeds. This allows for amazing control over your boat and makes it easier to achieve the smoothest possible ride. The motor itself features a 3-blade propeller (10-inch diameter) to ensure optimum performance at all times. It is powered by a minimum 50 Ah 12-volt marine battery which isn’t included with the motor but, for those that already have a collection of batteries, this shouldn’t be much of an issue. A great feature is the battery meter, which lets you know how much juice you have left, so you can quickly gauge the battery status. The battery life isn’t too bad either for a 12-volt, so you can expect to get several hours of operation even at top speeds. Powerful, robust and inexpensive, this Newport Vessels Electric Trolling Motor is a great choice for anyone looking to pair quality with affordability. 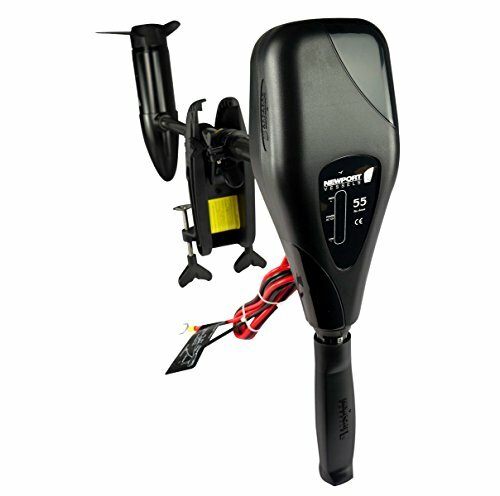 The Outsunny 12V Transom Mounted 50 lb Thrust Electric Fishing Boat Trolling Motor is another fantastic choice for those seeking cost-effective trolling motors, especially if you are looking for a decent amount of power for an affordable price. 50 pounds of thrust is a great amount of power for those smaller vessels, and even larger size boats can certainly benefit from the power on offer. When combined with 8-speed settings (5 forward and 3 reverse), you can expect a great deal of control for steering, whether you want to achieve high speeds or navigate those more difficult spots. With the shaft that consists of rugged composite materials and metal head, the electric fishing Boat trolling motor is definitely built to last, so you will certainly be getting all your money’s worth! All in all, a great trolling motor that comes with an exceptional price and enough power to suit most, the Outsunny 12V Trolling Motor will not disappoint! For those fishermen looking for an affordable bow-mounted, hand-controlled trolling motor for freshwater use, the Minn Kota Edge 45 is certainly a product worth consideration (the Edge 45 also comes in a versatile and ergonomic foot controlled version for anglers who want hands-free operation while targeting their favorite fish). There’s a lot to like here, including a lifetime warranty on the impressive composite shaft and a two-year warranty covering the various other components of the motor, so you can expect to get many fun years out of the Minn Kota Edge 45. As you may have guessed by the name, the Minn Kota Edge 45 produces up to 45 pounds of thrust, offering ample power for steering in a variety of conditions. The 45-inch shaft is nearly indestructible, consisting of composite materials that resist corrosion and breaking, while it can be easily adjusted to various levels. This is especially useful for maneuvering through shallower waters, but you will find the Minn Kota Edge 45 offers fantastic steering in waters of every depth. 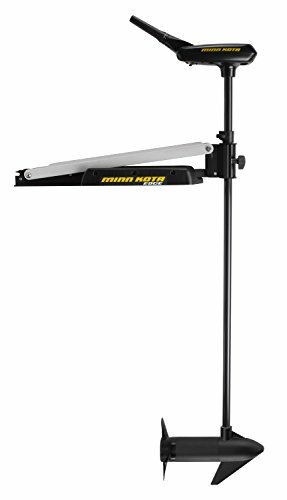 The ease of mounting is one of the most impressive factors about the Minn Kota Edge 45. Mounting takes no time at all, made easier thanks to the soft-grip knob for tightening and loosening. Add in the anodized aluminum arm and you have a mount that isn’t just quick to install, but also incredibly secure. The latch and door bracket also makes it a snap to remove and store away when you’re done for the day. As with any Minn Kota motor, this is a trolling motor that will make very little noise. The larger commutators and windings help in this regard, allowing the motor to run cool and economize your 12-volt battery. With a composite shaft guaranteed to last a lifetime, its quick and easy bow mount, a quiet engine and a reliable 45 pounds of thrust, the Minn Kota Edge 45 can be rightfully considered one of the top-rated trolling motors today. 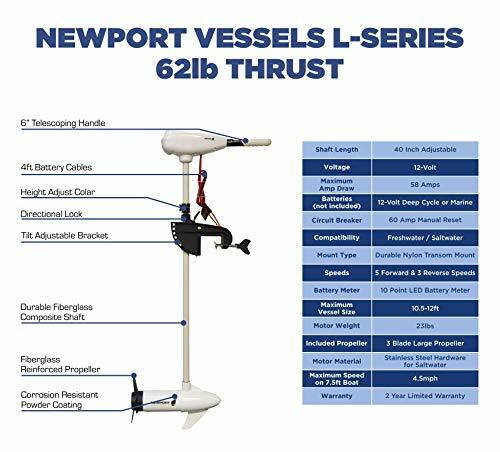 Sporting 62 pounds of thrust, the Newport Vessels Saltwater 62 lb Thrust Electric Trolling Motor is one of the most powerful12-volt trolling motors and can be powered by either a marine or deep cycle battery (not included). Considering the price range, you will struggle to find a motor offering as much thrust as this one, especially when considering it’s powered by a single battery. Better still, the motor is durable enough to be used in saltwater (perfect for freshwater as well) due to the composite fiberglass, stainless steel and zinc materials used throughout. The aluminum head helps to keep it lightweight as well as tough. As with any Newport Vessels trolling motor, it is designed to be used on any one of their inflatable vessels, although it can easily be attached to various other craft with a transom mount, such as tenders, fishing boats, pontoons, kayaks, and dinghies. Both the 36-inch fiberglass composite shaft and mount bracket are completely adjustable, while the three-blade propeller will make short work of any stubborn weeds slowing you down. Steering your boat will be much easier thanks to the 5 forward and 3 reverse speeds of the motor, making it simple to get in and of those tighter spots. Worrying about a dead electric trolling motor battery while out on the water is a thing of the past with the Newport Vessels Saltwater 62-Pound Thrust Electric Trolling Motor thanks to the handy battery meter. Using an LED display, you get precise information regarding how much battery life is left. When it comes to trolling motors for small boats, there are few better and more powerful than this Newport Vessels model. The ability to also venture into saltwater without the risk of damage is a great feature, while the surprisingly lightweight (just 23 pounds!) makes it easy to transport. It’s hard to deny that this isn’t one of the best saltwater trolling motor values for the money on the market today. This entry was posted in Tackle/Gear Reviews & Guides on June 22, 2017 by Avid Angler. Dave "Avid Angler" Miller has been an author and contributor to Reel Adventure Fishing since its inception, going back to 2010. Dave has fished just about every freshwater and saltwater body from coast to coast and enjoys putting a lifetime of angling experience to use in helping others to become better anglers. In addition to penning featured posts, Dave also writes a good deal of our product reviews. This is a good selection of trolling motors to choose from with a wide range of prices. I was hoping to find something for under $400 and was happy to see the price of the Newport Vessels motor. Thanks for the information! Jim, Newport has a wide selection of good, competitively-priced trolling motors as does Minn Kota, maker of the first trolling motor. I’ve owned both over the years and have not been disappointed.